A few hours from Bordeaux lies the lovely Toulouse. After scoring tickets for just €2 roundtrip, we did a weekend getaway and spent 30 hours in the pink city (or La Ville Rose). We left Saturday morning with a little backpack full of the simple overnight necessities (just toothbrush, toothpaste, and underwear) and headed out! Just 30 hours in the city proved to be enough for a full itinerary to see some of Toulouse’s best sites. We managed to squeeze in lots of monuments, a good amount of food and plenty of walking. Okay, enough talking, let’s just dive into the itinerary already! Flixbus has amazing rates! Seriously, how can you beat €2 roundtrip tickets? We left early from Bordeaux at 8 o’clock to arrive in Toulouse by 11 in the morning. After arriving at the bus station a bit out of town, we took the metro (tickets are €1.70 one way and cover the metro, tram, and bus) and got off at Palais de Justice, near our Airbnb. We stopped off for a coffee at The Black Lion for €1.60 a cup and caffeinated up before checking into our accommodation. I LOVE Airbnb, but I’ve only ever taken the “entire place” options before. Private rooms are always way cheaper and because we were only staying a night, JP and I gave it a go! We found a great listing that included its own shower and toilet for €40 for the night. The check-in process was super seamless and our host greeted us early so we were able to get all settled in by 12 o’clock! After checking in, we strolled around until we stumbled upon Marché des Carmes, a covered market with vendors selling everything from fresh fish to fruit and foie gras. Just next to all the market stands lies Bistro des Halles, which we stopped at for lunch. Prices are decent for excellent quality, around €14 for a main dish. Beware though, wait times took forever…however, we were compensated with a glass of wine on the house when the server forgot about our order. And the food was definitely worth the wait! 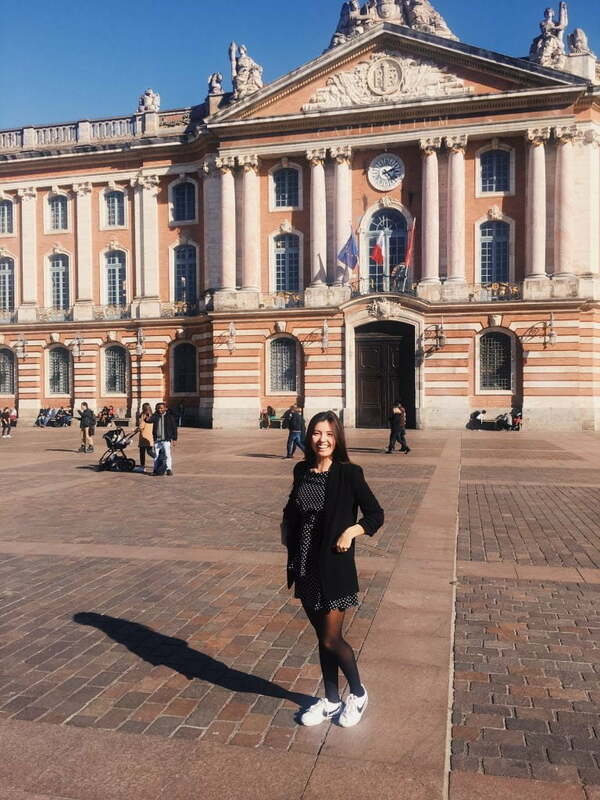 Toulouse’s most famous landmark is probably their Place du Capitole. After lunch, we strolled on over for a peek at the pink monument and drank a coffee at one of the cafes on the square. 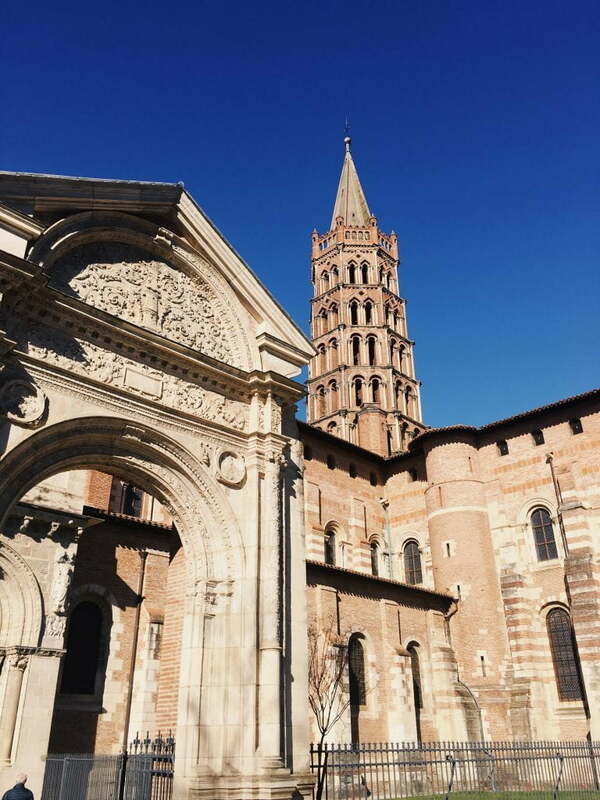 The Basilica of Saint-Sernin has been around since the early 12th century. 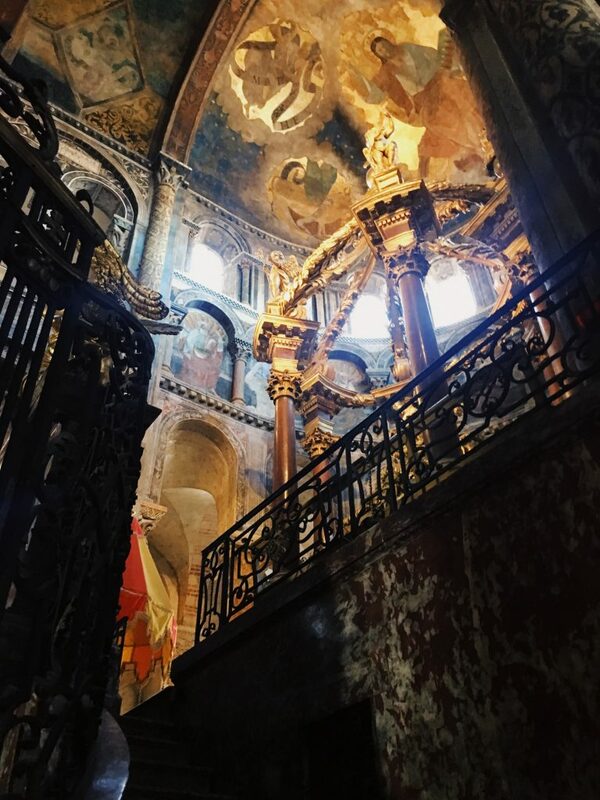 While anyone is welcome inside the church, visitors can get another look down below to see some cherished artifacts for €2.50 or €2 if you have a student I.D. on you. 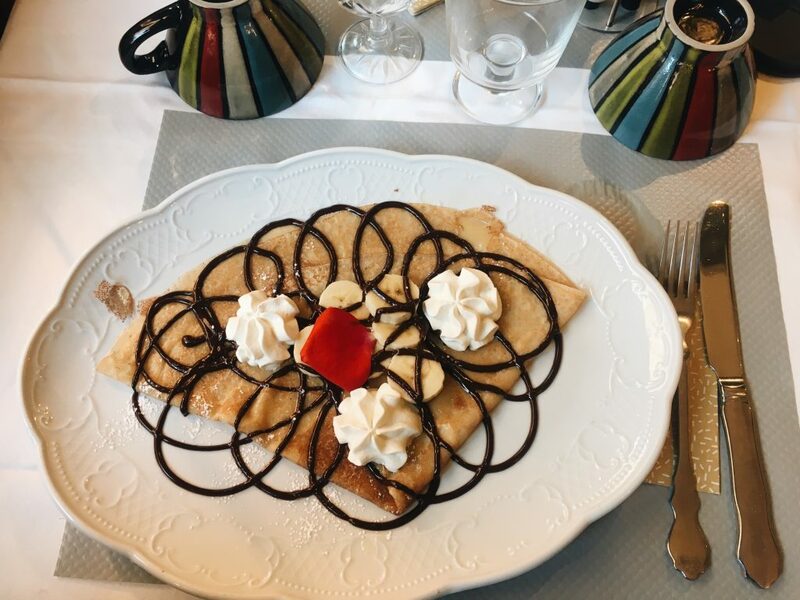 After some sightseeing, we stopped off for a little goûter at Les Crêpes de Benôit. 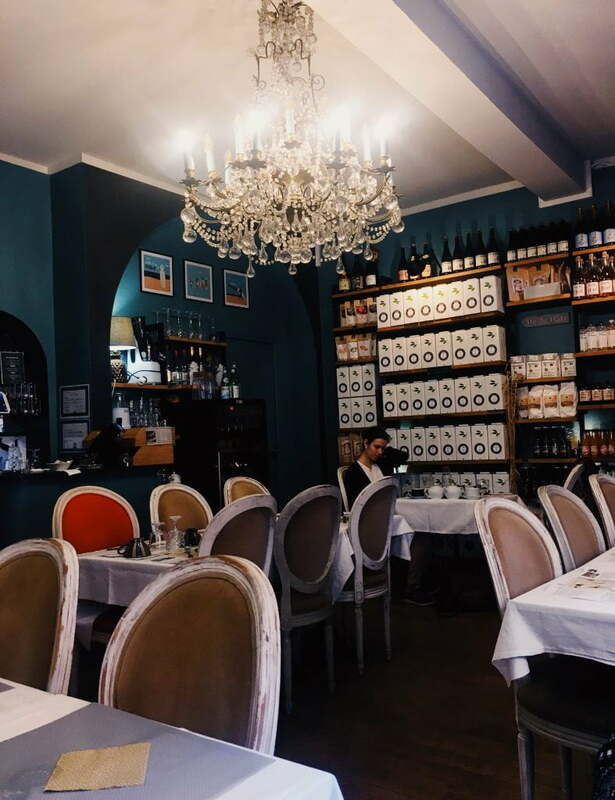 The little crêperie offers a range of teas and sweet crêpes that are sure to satisfy an afternoon craving. 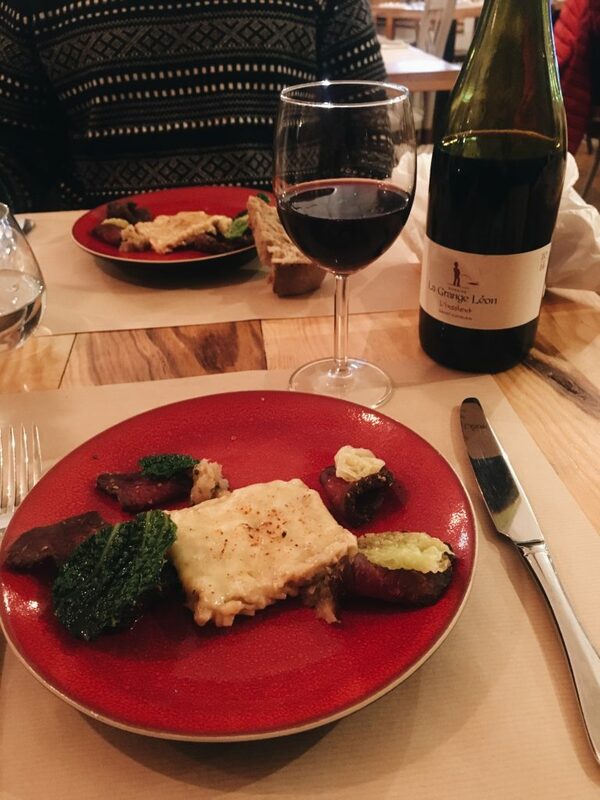 After snacking, we strolled around Toulouse to work up an appetite before dinner. 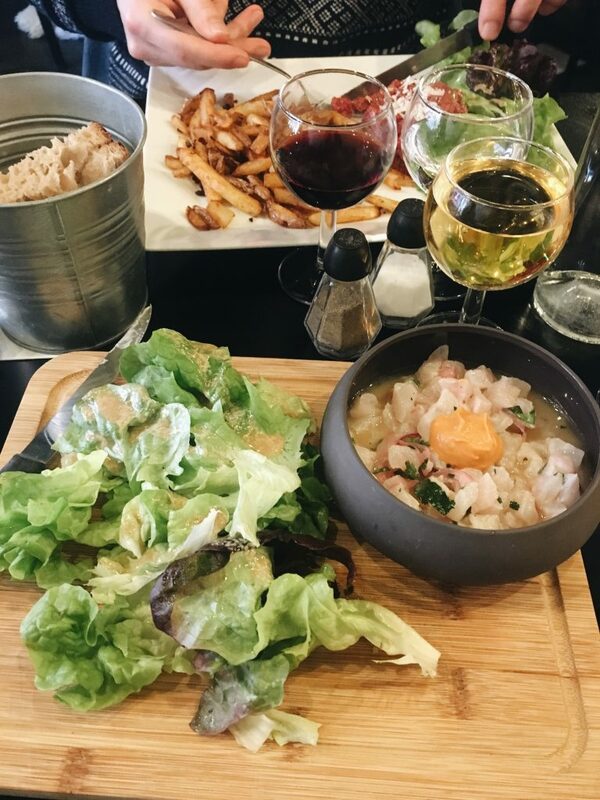 Okay, I’m going to be completely honest here–this restaurant did not live up to my expectations but it’s where we went for dinner so I’m still telling you about it! I was tempted to reserve here because their reviews online (both through Tripadvisor and Google) are overwhelmingly positive, so maybe the chef was just having an off night when we came? 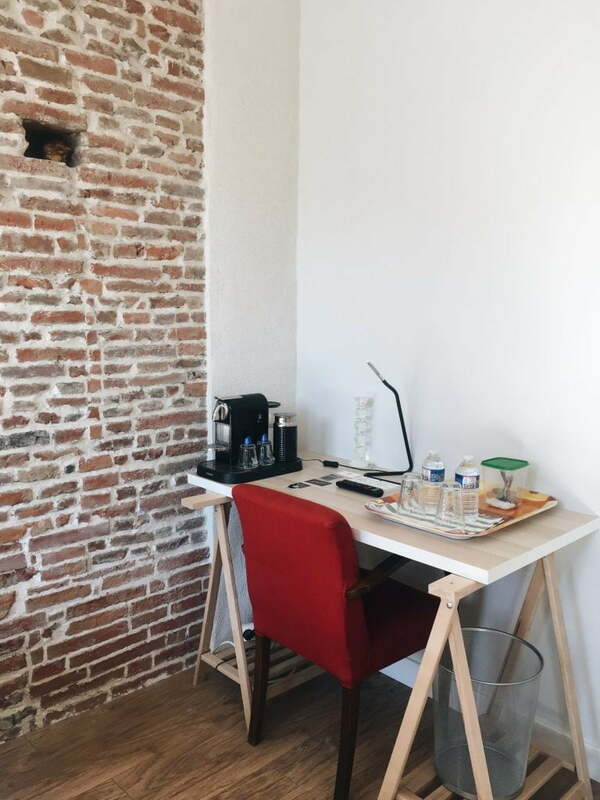 When I did book almost three weeks out, they only had one slot left at 7:30 pm and told me we’d have to be out by 9:30 pm which is pretty rare for France! (When you book the table at most places, it’s yours for the night). So Les Complices is definitely popular. 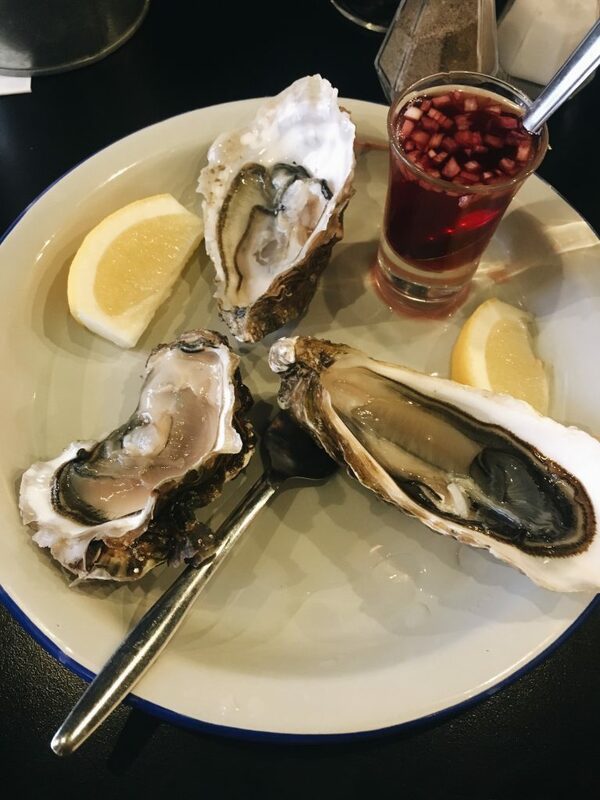 Basically, the concept is a 5-course tasting menu with two different options for each course at €35/menu. The food was just kind of okay. Not bad, but not very good either. If you’re looking for the experience of having a tasting menu for a decent price, check it out. But you can probably find something better elsewhere. Sunday morning, we strolled on over to Muséum de Toulouse which currently has a special exhibition on L’île de Pâques. The museum is situated in a tranquil garden where ducks and chickens roam around. If you get hungry, be sure to check out the museum’s café and get yourself one of their delicious chocolate chip cookies. You can enjoy your snack on the café’s terrace which overlooks the surrounding garden. After the museum, we headed on over to the impressive Pont Neuf, built in the 16th century. This bridge isn’t actually symmetrical and proves for an interesting view. We then headed into town for a quick lunch at Santosha, which is a chain Thai restaurant. Ah I know eating chain restaurants while traveling is the worst! But the value at Santosha is pretty good (around €10 for a big plate) and we knew we wanted something quick. 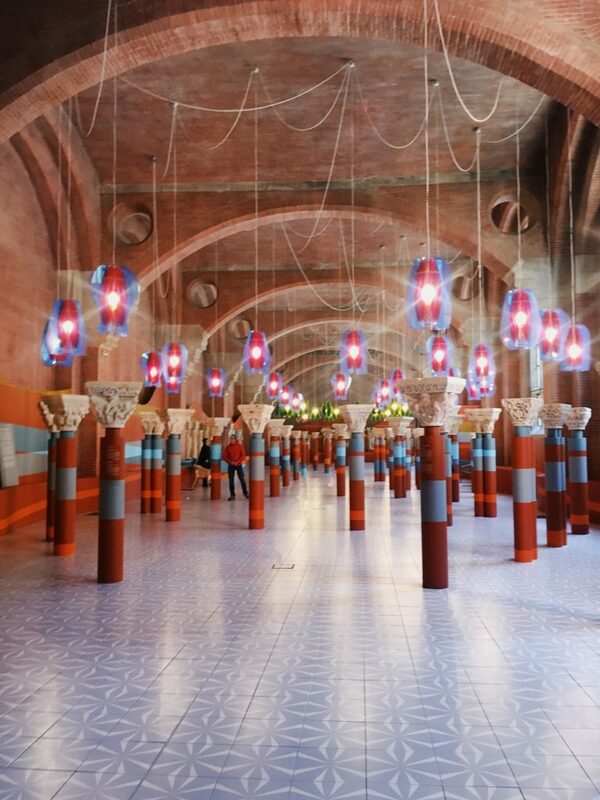 Right now, Musée des Augustins is under construction so only the ground floor rooms are open. But because of this, the tickets are at reduced rates for just €2! And if you’re a student you get in for free. Head on in and check out the museum’s beautiful church and sculpture works. Before catching our bus back to Bordeaux, we stopped off for a little drink at Jardin Pierre Goudouli. This square is full of cafés and a cute little carousel. I have to say, I was pleasantly surprised! 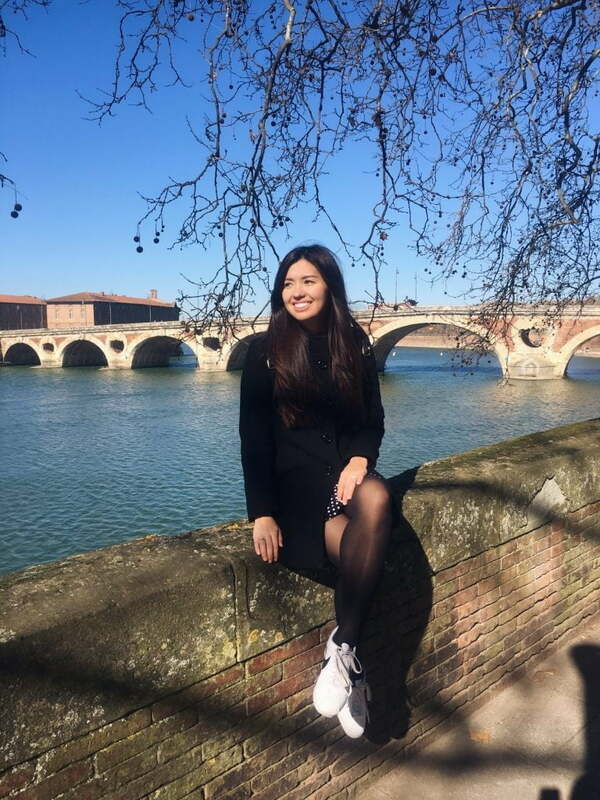 After living in Bordeaux for almost three years, I had never actually taken the time to visit Toulouse. When I did hear from Bordelaise friends, they didn’t have many positive things to say about Toulouse, maybe this has to do with the Bordeaux/Toulouse rivalry! 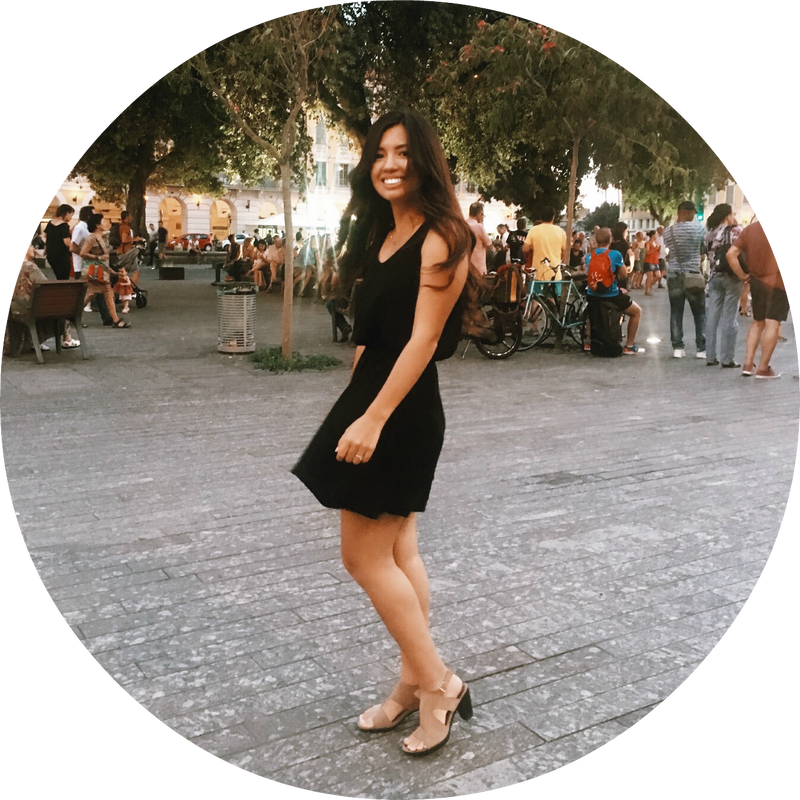 I was so taken with the colorful buildings and brick walls, and I’m sure you will be too. Have any of you been to Toulouse? Where are you hoping to visit next?